I never took any interest on the so-called over-hyped comedy shows on TV as it gives me head ache instead. I literally wanted to tear off my hair every time my TV was tuned into Comedy Circus that ran on Sony TV. The jokes were never funny and the acting was too dramatic and of course, the worst part of all ‘Archana Puran Singh’ and her meaningless laughter that gave me nightmares. Now, when Colors launched their very own version of a comedy show I was like ‘A must skip for me’ as I thought it would be a cheap copy of Comedy Circus and was never excited. But, hang on! I was bewildered and this is how! No wonder Comedy Nights with Kapil became an instant hit with its TRP reaching the top. This show is actually what you call a comedy show as it has all the elements in the right proportion. Kapil Sharma as Bittu is a complete delight to watch and his family of a drunken Dadi, flirtatious Bua and irritating wife is a pack fit for madness. The guest experience of the very entertaining, ‘GUTTHI’ played by Sunil Grover made me fall of my chair laughing. I simply could not wait for him to re-appear on TV. 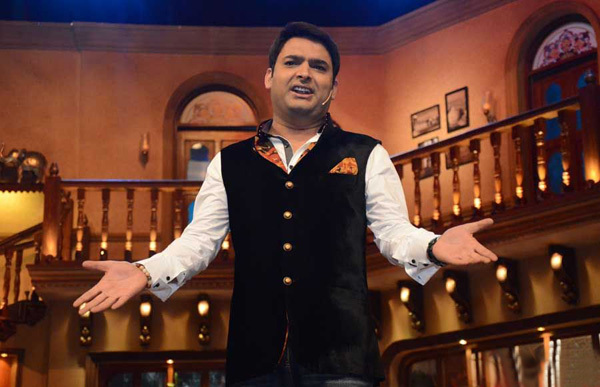 Kapil Sharma, the actor/scriptwriter/producer for Comedy Nights with Kapil had cracked the show. He exactly knows what sell on TV when it comes to comedy. He did not repeat the mistakes other made and soon became the funniest man on Indian Television. In this popular hindi comedy show he uses statement “Babaji ka Thullu” Many have asked across the social media that what is the meaning of “Babaji ja Thullu”. So you can check the meaning of Babaji ka Thullu in my other post. In India where people are exposed to bulk load of problems everyday, this show comes as sanjeevni for the people in the weekends. Can’t wait for Saturday to catch your mad family on TV laugh off all my tension! Previous story Ever wonder from where Kapil Sharma got the idea of “Babaji ka Thullu”?